I did my WeBS count today. There was a very blustery SSW wind blowing which didn't make counting easy. A lot of birds were seeking shelter behind the tussocks of reed so I have probably under-counted some species. Whilst counting ducks from the little hide, the curlews and redshanks that had been over by the Budge screen lifted and and settled a bit nearer to me. As I was counting the curlews, a smaller bird shoved its very long bill under it's wing and went to sleep - "that's the dowitcher" I said to myself as there was nobody in the hide. Curlews counted (53) I came back to the long-billed bird. It was now obscured by sleeping curlews. Patience eventually paid off when the pack reshuffled and the dowitcher was exposed in all its glory - having a bit of a preen. 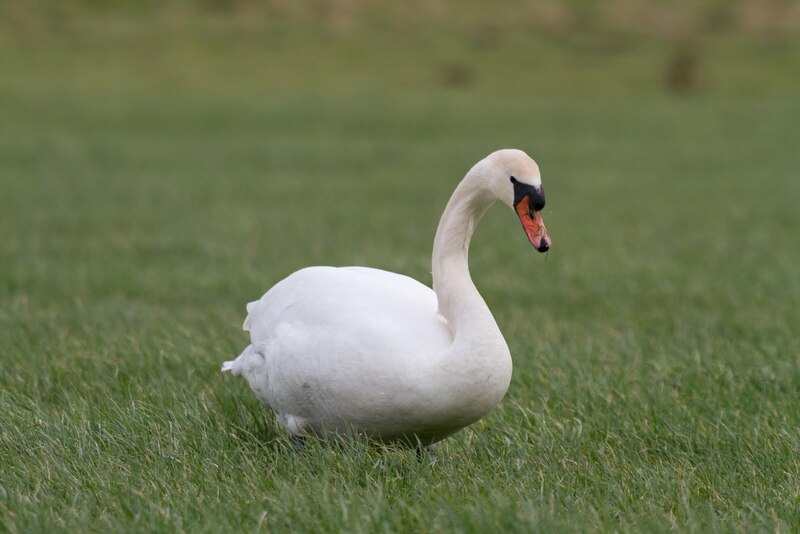 This is the third time I have seen this bird at Druridge. I am sure it must get up here more often than it is reported. 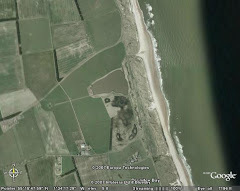 There are definitely less birders getting to Druridge whilst the road up from Cresswell is closed which is no bad thing. Amongst the wader flock were also two dunlin, two black-tailed godwits and a ruff. There are still about 300 wigeon and 70 teal on the Budge fields. Away from the WeBS count, there was little to report. The National Trust were having a bush-craft day for kids. 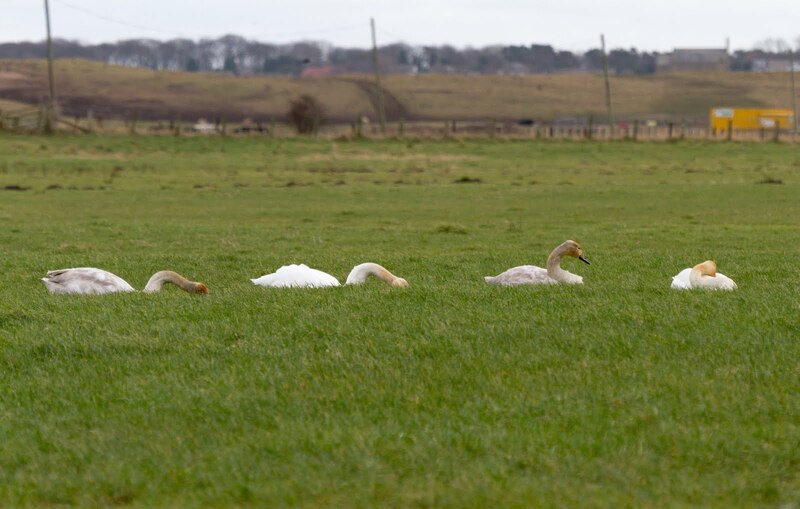 Four whooper swans were in the field in front of the cottages, hanging around the feeding troughs with a couple of mutes and a greylag goose. 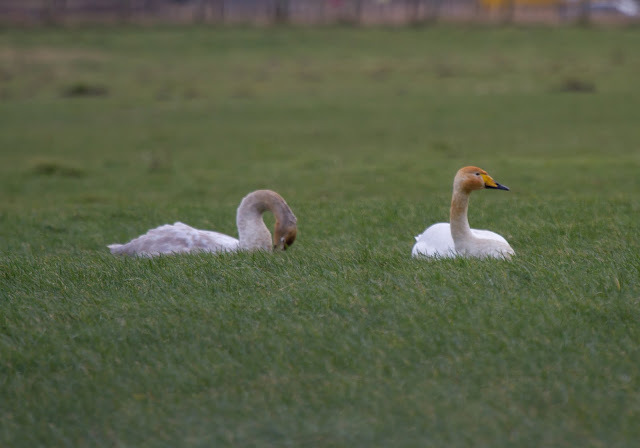 Whooper swans - a family party?